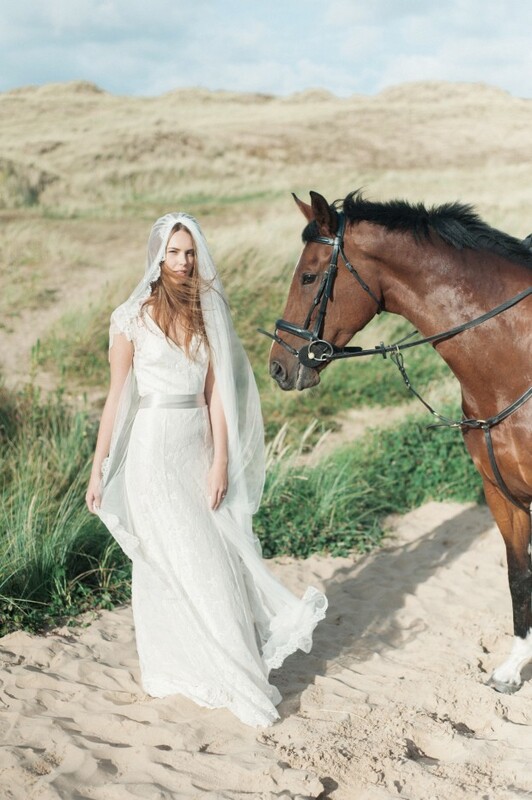 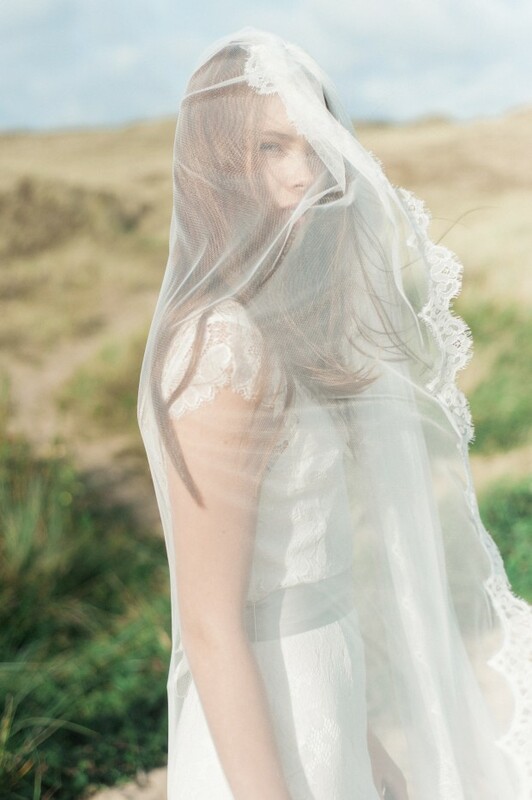 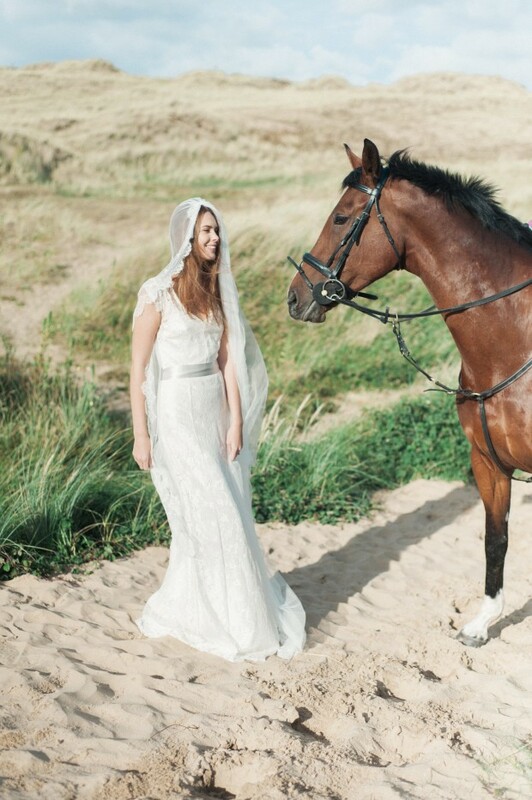 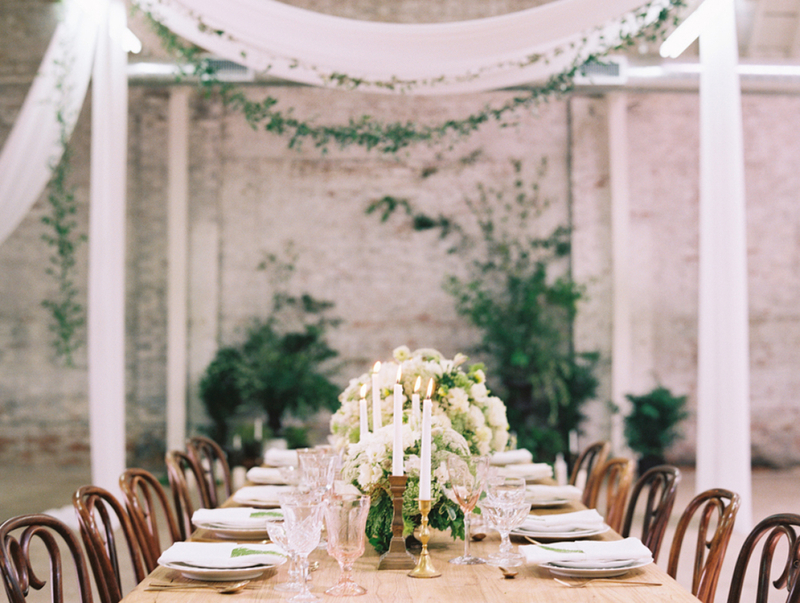 Today’s deliciously dreamy bridal editorial is phenomenal. 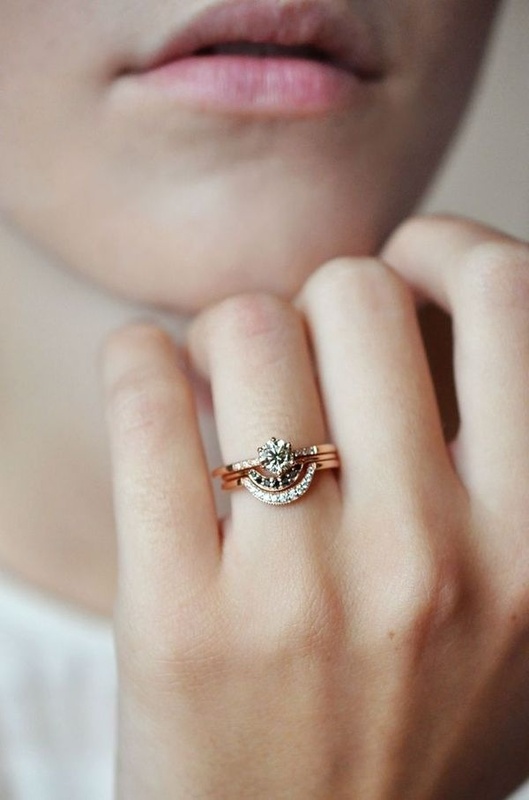 Yes big words of praise but so totally worthy. 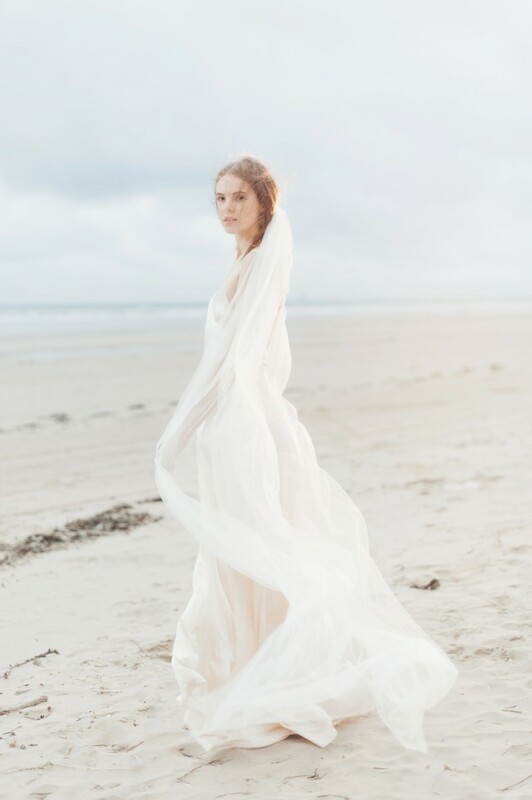 Fine art wedding photographer Emma Pilkington shares these beautiful light filled wedding inspiration images with the Want That Wedding blog today to celebrate the launch of her pretty new website. 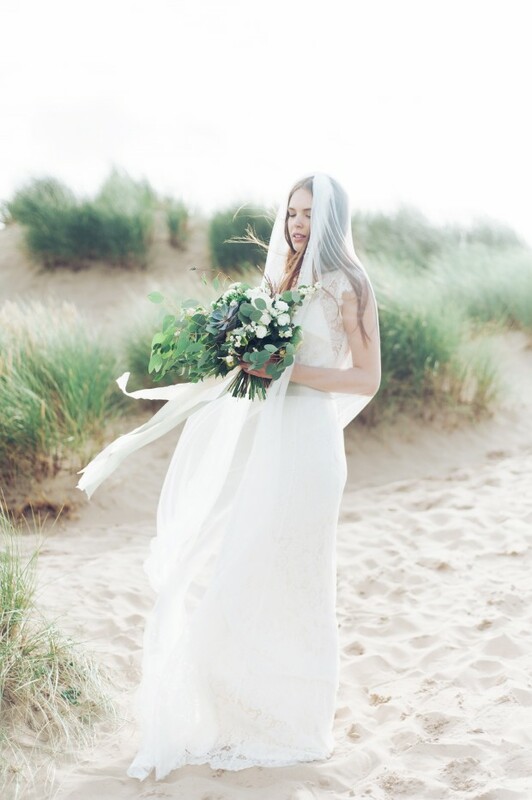 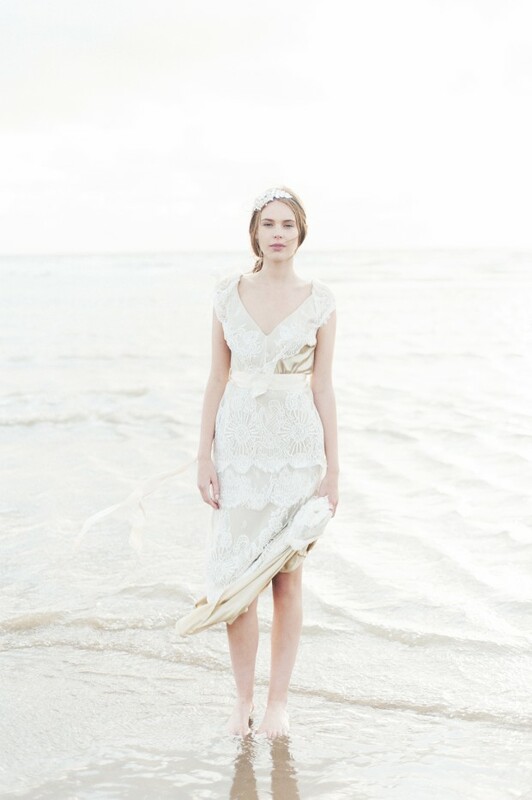 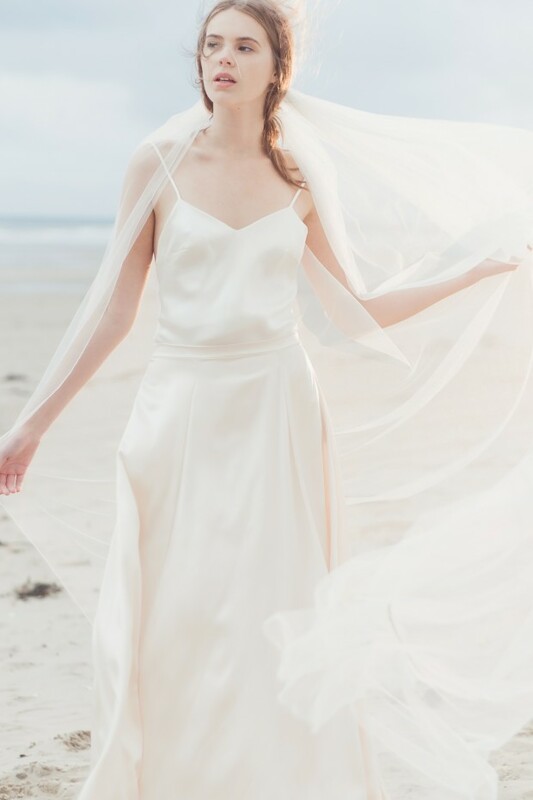 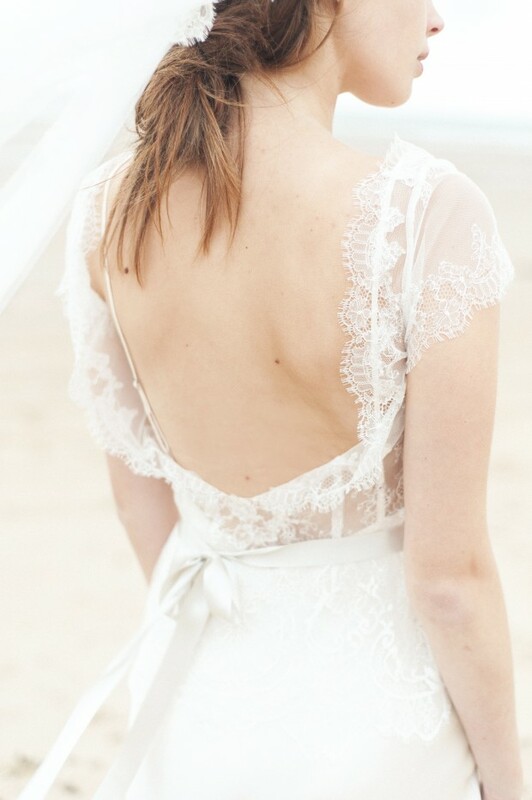 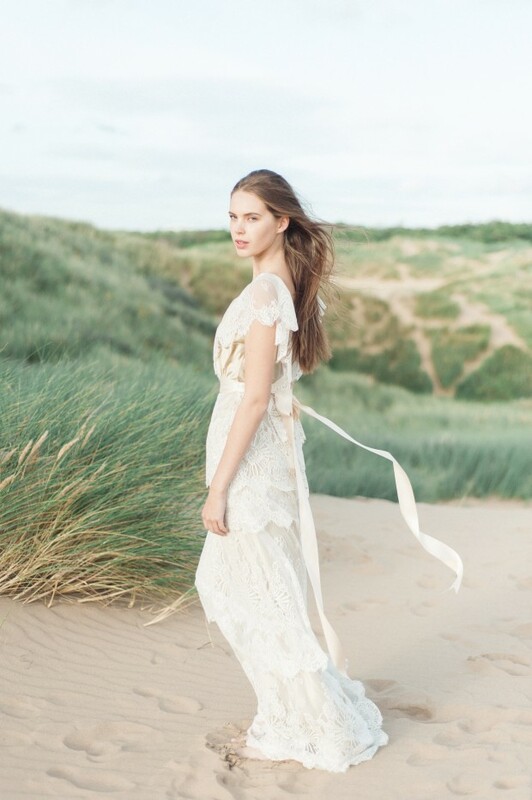 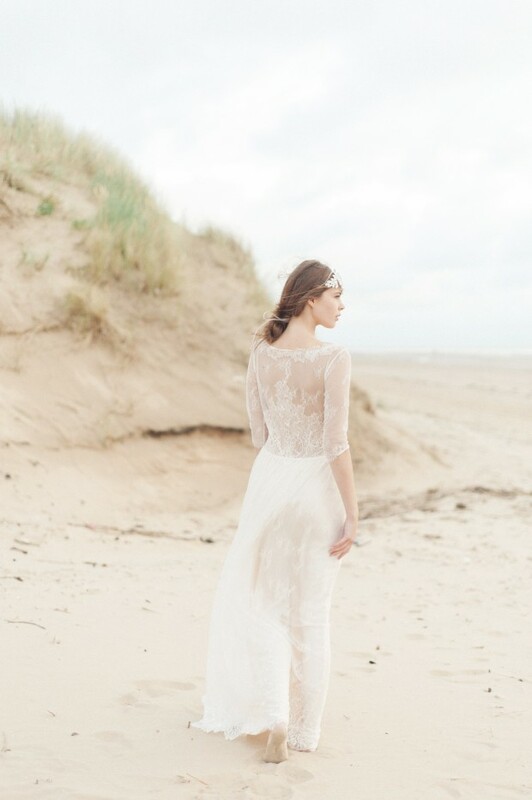 Inspired by glowing light, delicate lace and the windswept beauty of the sand and sea, this stunning editorial showcases beautiful wedding gowns by talented dress designer Kate Beaumont. 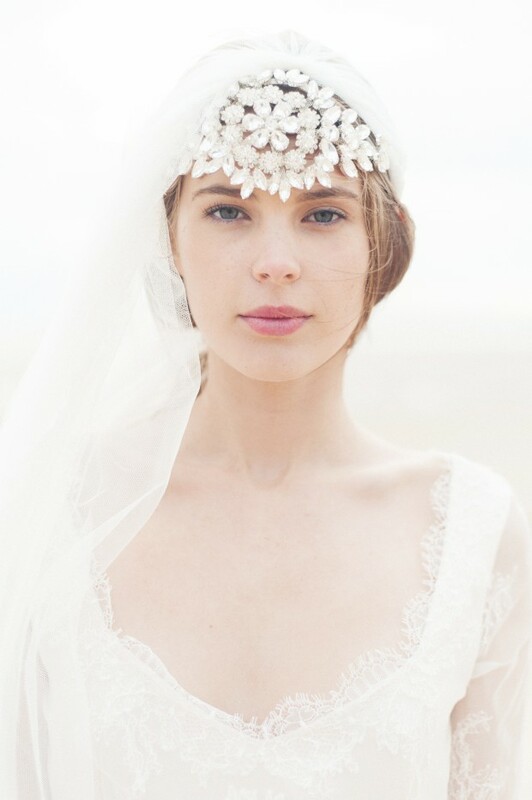 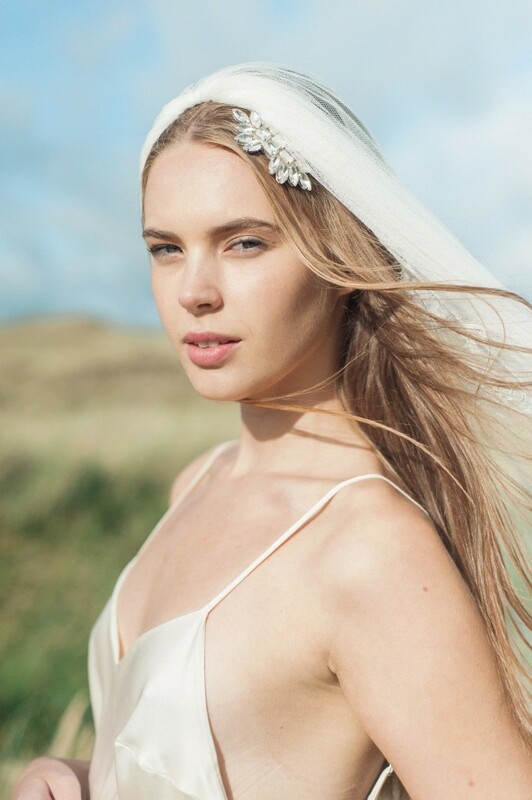 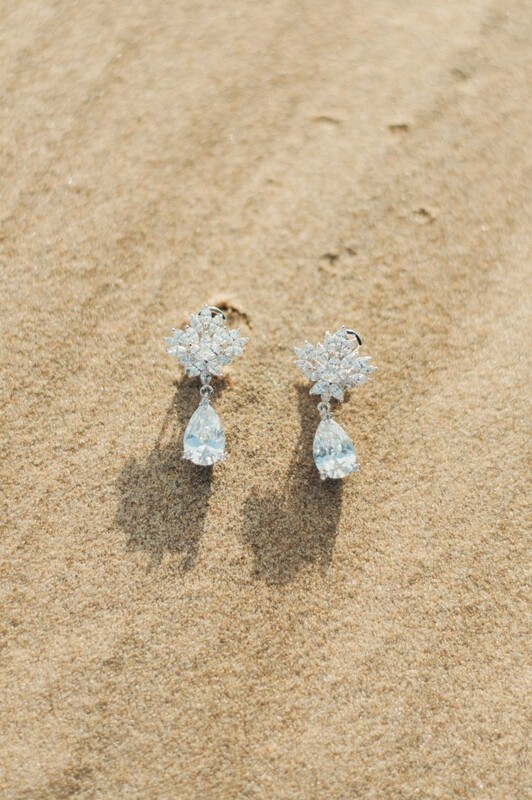 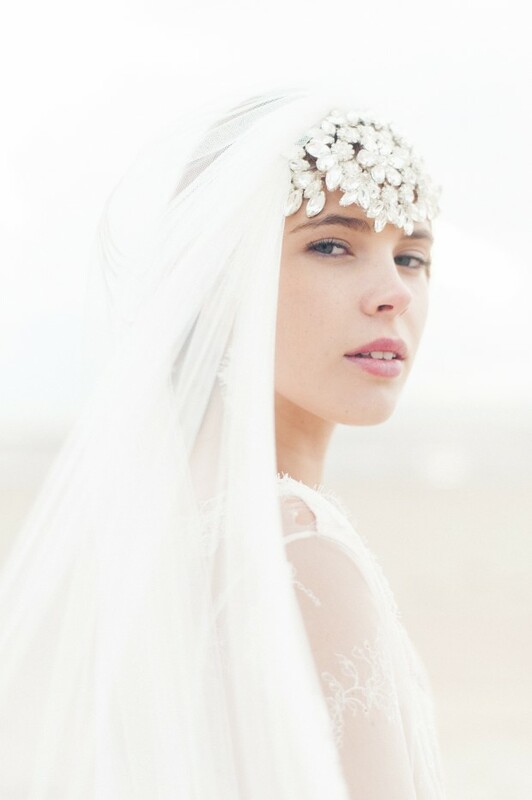 Sarah Morten created effortlessly beautiful and luminous make-up that complimented the delicate bridal accessories supplied by Debbie Carlisle and the flowing veils by Helen Martin [available through Kate Beaumont] – culminating in the perfect windswept bridal look. 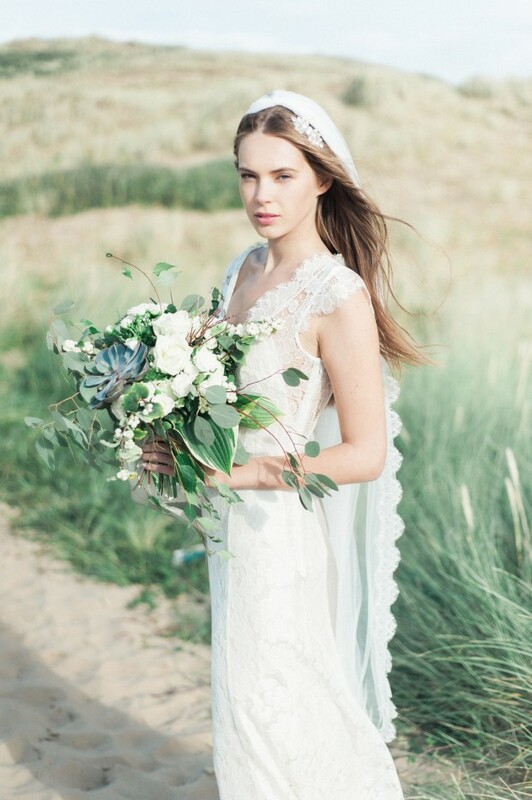 The organic inspired blooms were created by botanical art floral designer Joseph Massie, and of course, the super pretty images are by Emma Pilkington. 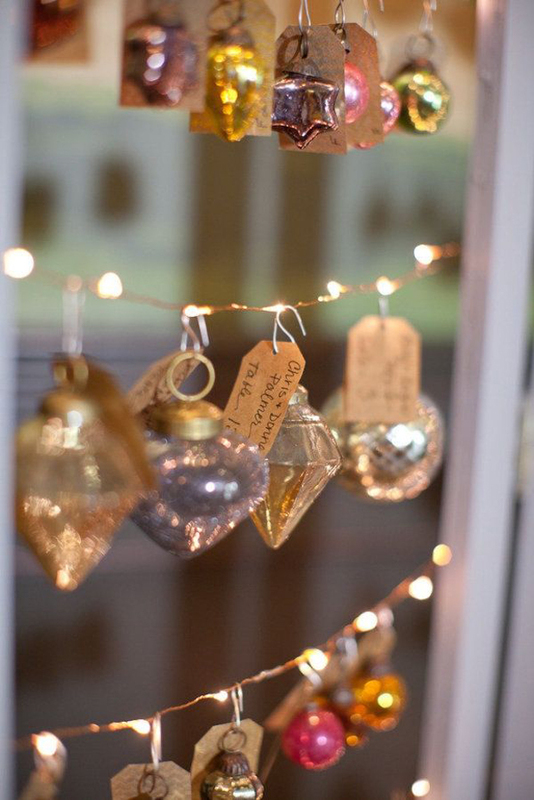 Words and images by Emma Pilkington Photography. 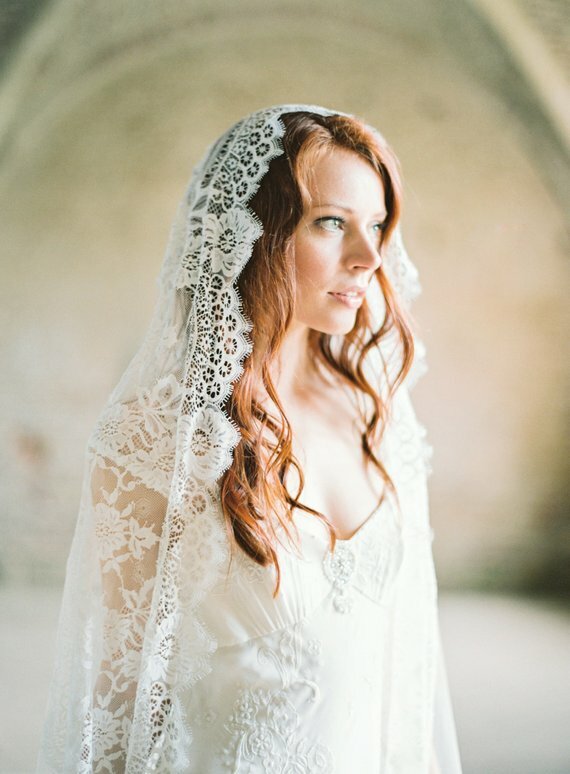 With a background in fashion photography and fine art, I have developed a very personal wedding style. 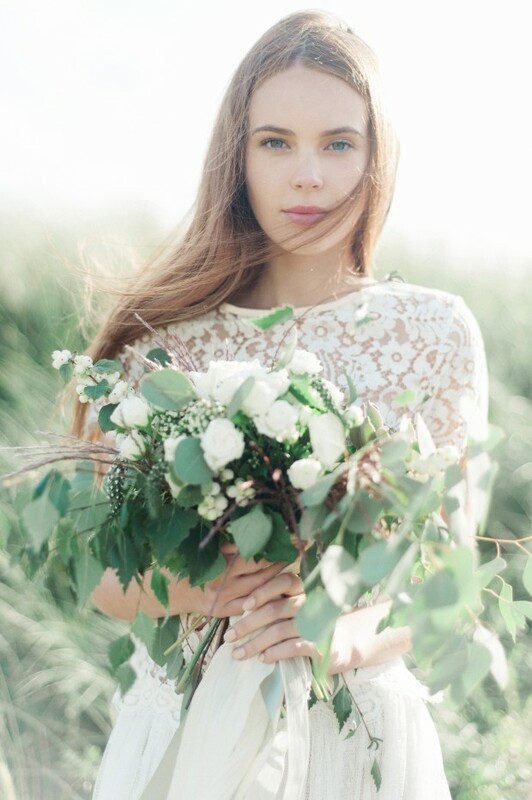 I love natural light, simplicity and ethereal locations. 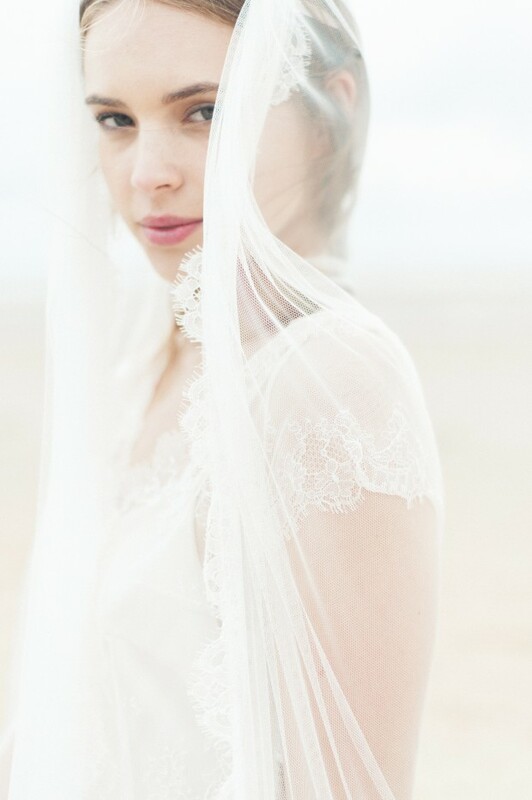 I shoot weddings for couples who prefer a relaxed yet beautiful style of wedding photography. 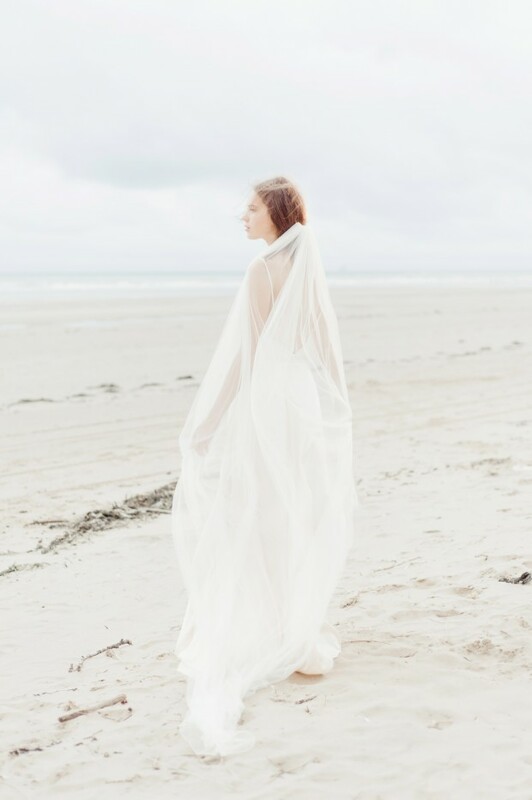 My fine art approach, and use of soft natural light and a warm pastel colour palette, allows me to create fresh and luminous photography. 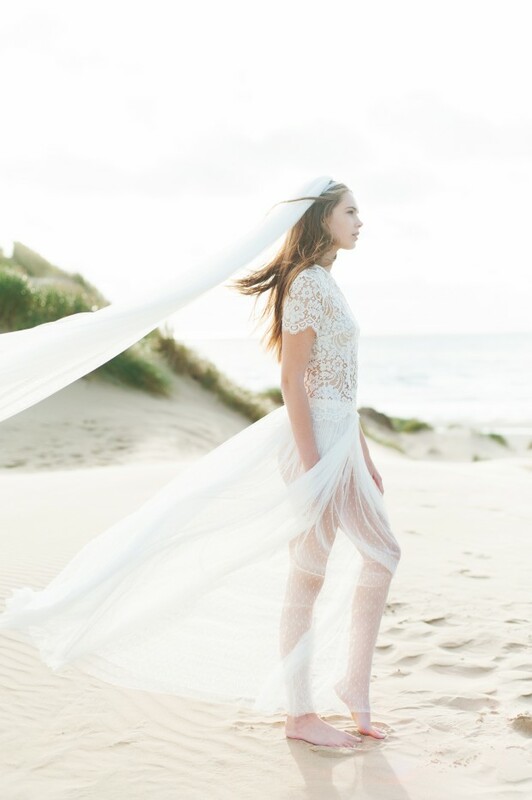 To celebrate the launch of my new website, I shot an editorial I’ve been dreaming about for a long while – lace, sand, glowing light and delicate accessories. 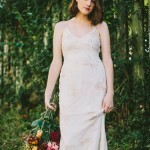 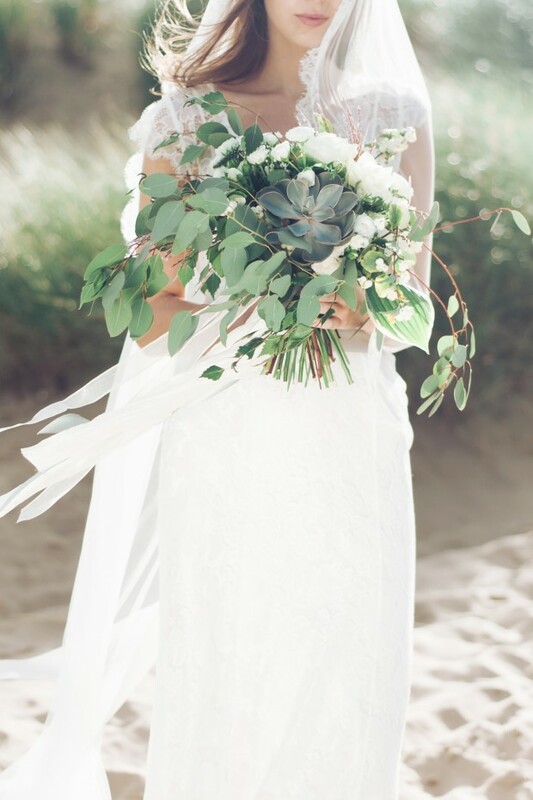 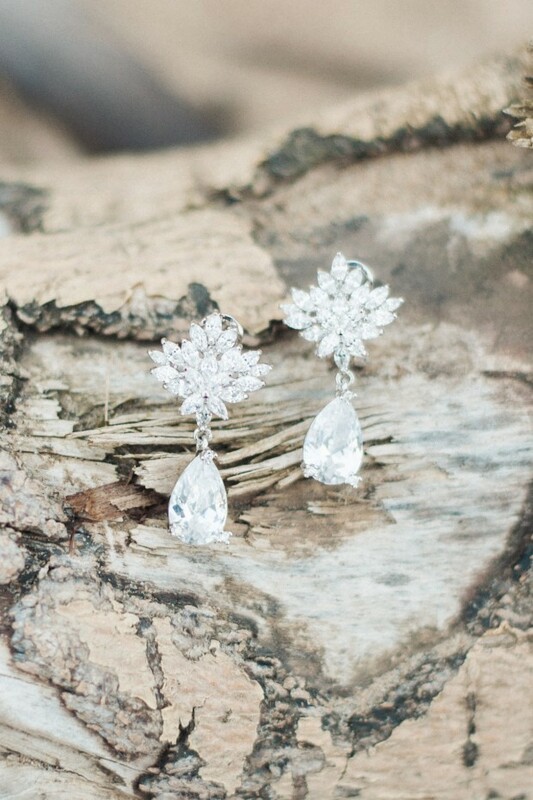 The images are soft and feminine inspiration for the fine art bride. 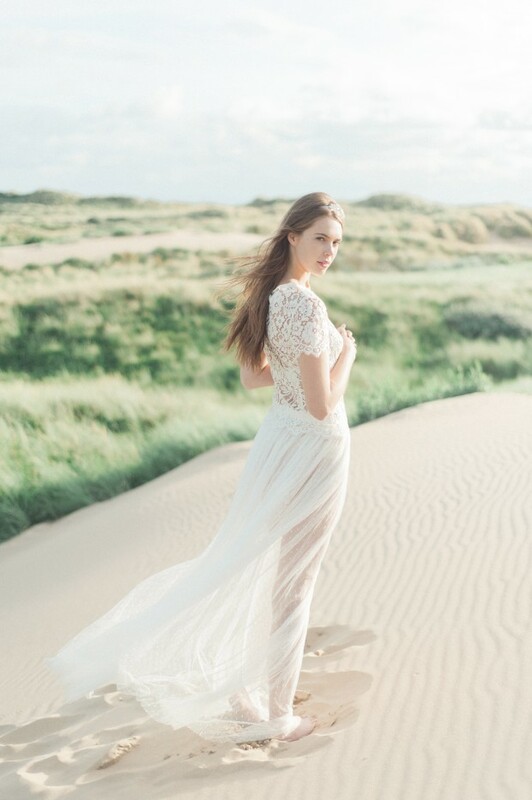 Shot on location at Formby beach at sunset, with ethereally beautiful light. 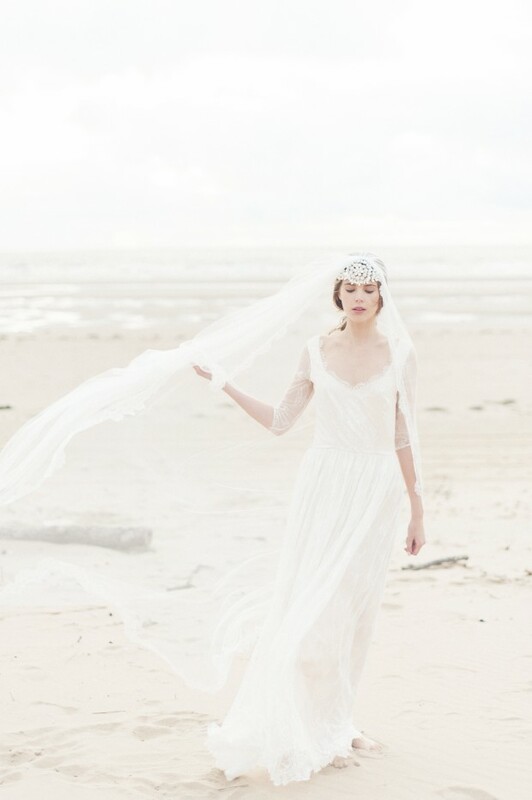 All the dresses were designed and made by Kate Beaumont, and they were complimented with subtle flowing veils and vintage inspired headpieces and jewellery by Debbie Carlisle. 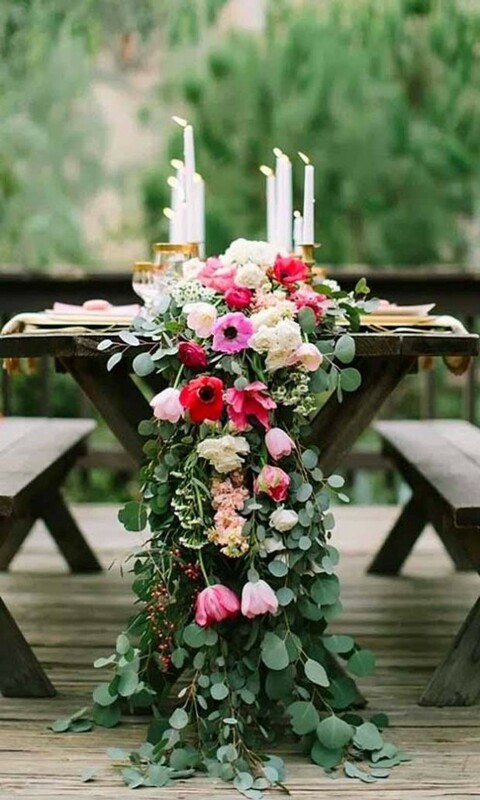 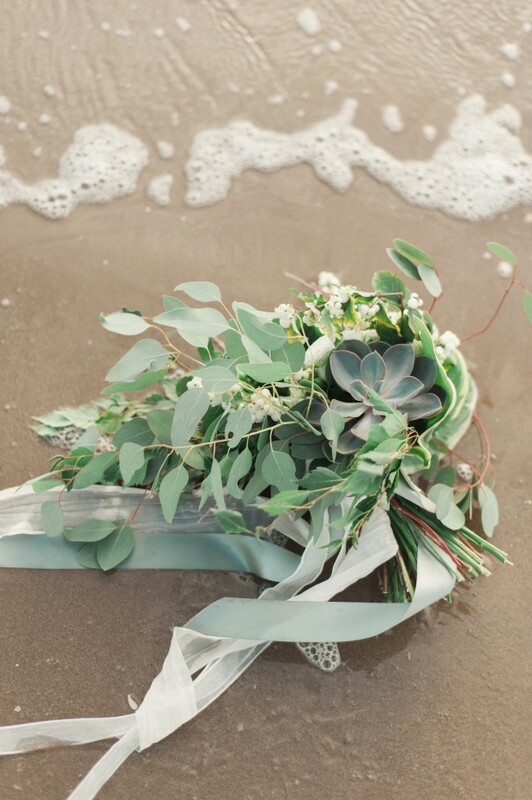 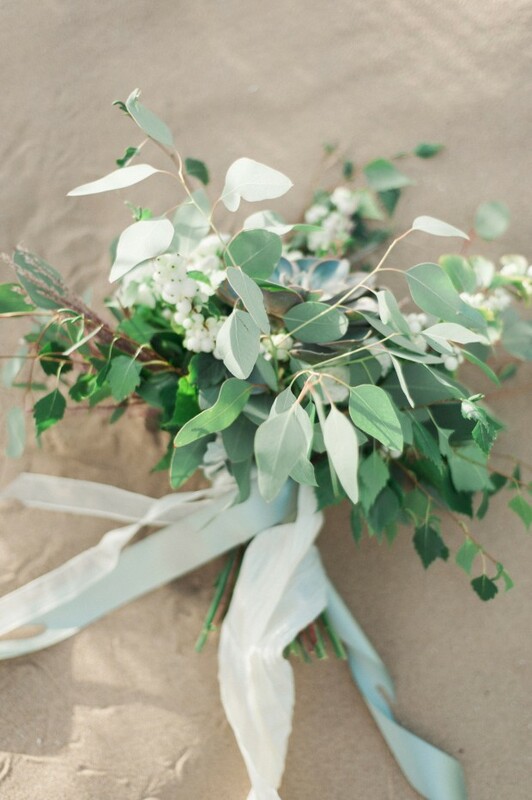 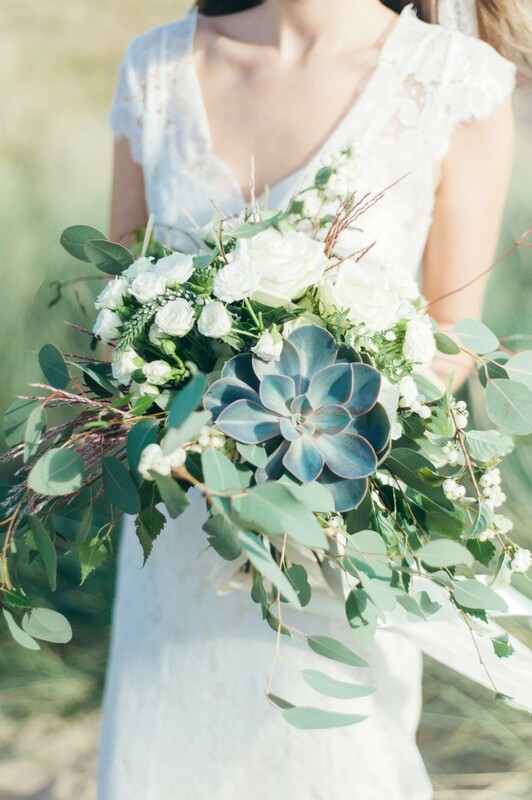 Floral artist Joseph Massie created a wild flower and succulent bouquet – a perfect alternative to a traditional wedding bouquet. 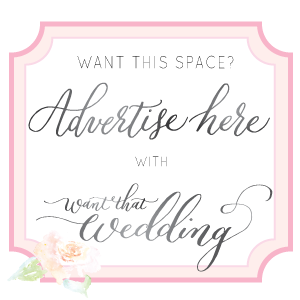 I’m also offering Want That Wedding brides 10% off full day bookings made by the end of October, just mention that you’ve seen this feature! 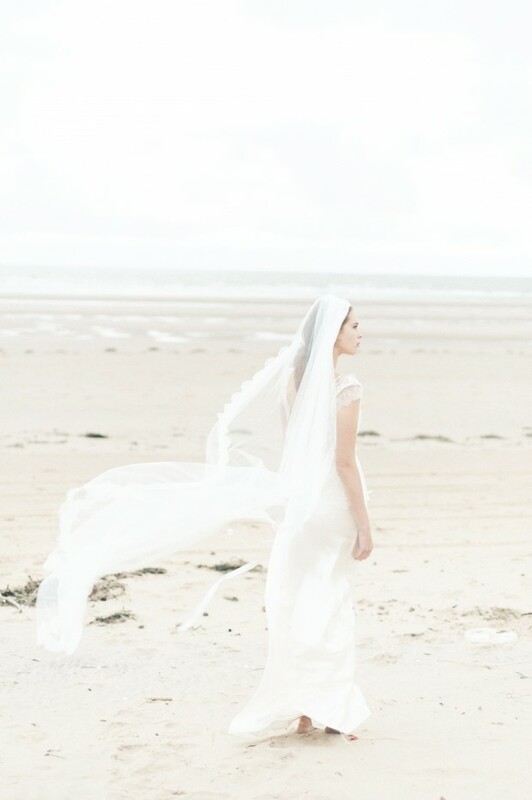 For more information please visit my website or contact me for a brochure. 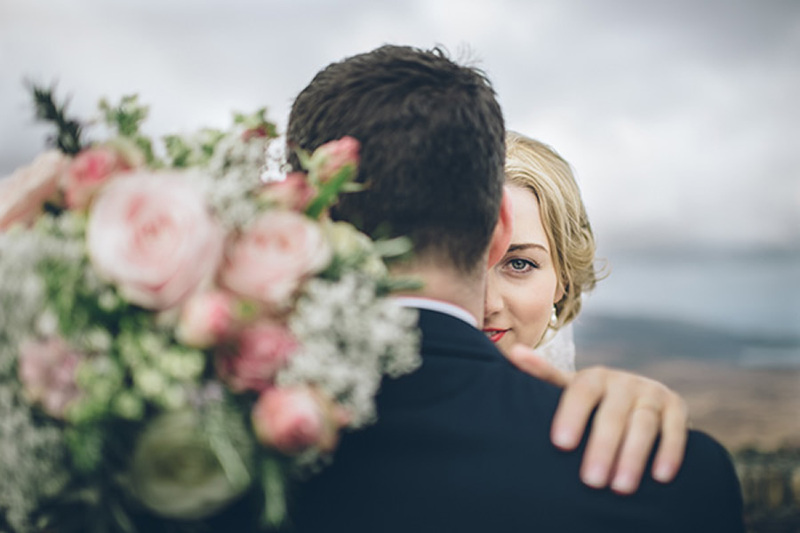 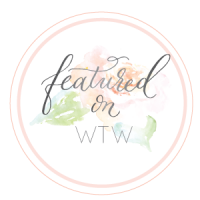 Don’t forget lovelies Emma Pilkington Photography is offering WTW readers a 10% discount too – off full day bookings, booked in October.